Whether you are shipping internationally or domestically, it is essential to understand the term dangerous goods and what products fall under that category. By understanding how this aspect of the shipping process functions you can avoid any unforeseen delays and costs that accumulate at customs later down the road. This post will cover what is considered a dangerous good, examples, and a few common questions and answers related to the topic. What items are considered a dangerous good? Flammable Liquids: Alcohols, Fuels, Solvents, Thinners, Cleaners, Adhesives, Paints, Waxes, Nail Polishes, Perfumes, Fragrance Mist, etc. Corrosives: Batteries/Battery Fluid, Duyes, Paints, etc. Miscellaneous: Dry Ice, Fertilizers, Lithium Batteries, First Aid Kits, waterless hand sanitizer gel, airbags, etc. 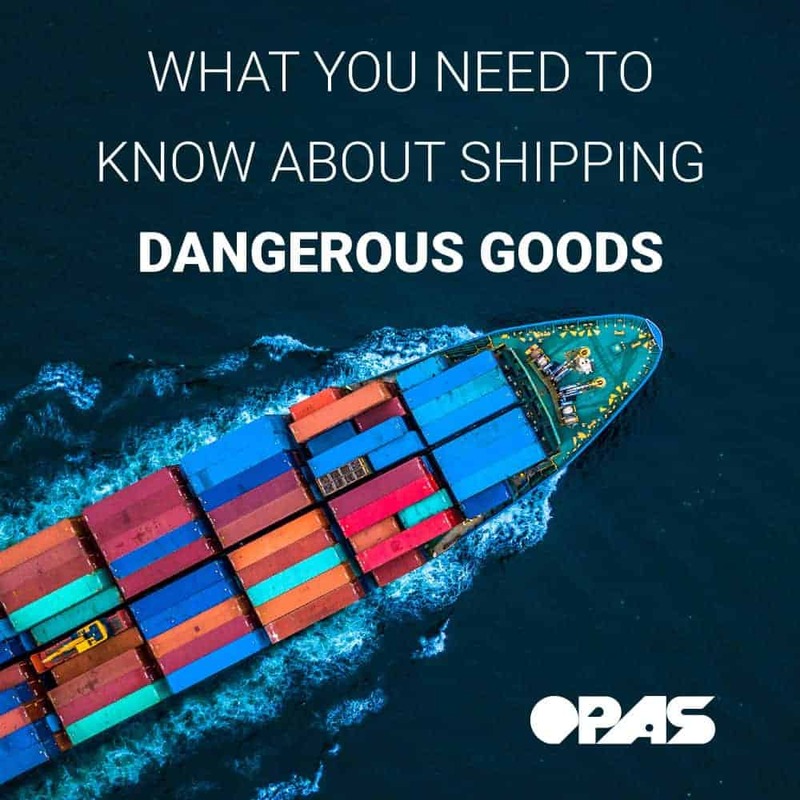 OPAS is a licensed shipper of Dangerous Goods, but there are restrictions in place. To see the complete list of Unacceptable Items (Items that OPAS cannot ship at all), Restricted Items (These ultimately depend on the receiving carrier based within destination country), and Restrictions by Country visit our Restricted Commodities page here. The items featured below is a breakdown of the things we can ship out of our warehouse. *Please note these are the only types of Dangerous Goods we can send. We can ship perfumes internationally to some countries, but most will have a limit on the quantity and carrier options allowed to send. Typically, small amounts of these items for personal use is permitted, but for shipments with larger quantities, please contact customer service for more details. These are the batteries installed within laptop and cell phone devices. It is okay to ship these devices as a whole but shipping a replacement battery itself for these items would need to be regulated. Accurately identifying, classifying, marking, and packaging the shipment. We wanted to make things as easy as possible for our customers which is why we do most of the legwork. As a customer all you have to do is order your item like usual and when submitting your shipping request add a note under “Special Instructions” stating that you are aware that you are shipping a Dangerous Good item. Depending on your location and selected carrier shipping fees may be higher as some carriers do not allow is to combine Dangerous Goods items with regular shipments. Q | Are there additional fees included when shipping dangerous goods? A | OPAS does not charge additional fees associated with Dangerous Goods but couriers might. It is dependant upon the item and destination country, but costs from the courier usually range between $72-90 USD which will be passed on to the customer. Q | How are the fees passed on to me? A | The courier fees that occur will be charged to your OPAS account along with the shipping fees. If you are using a credit or debit card on file, we will charge the card. If you are using your PayPal account, we will send a notification through PayPal to complete the payment. We encourage you to email us at service@opas.com before placing an order that you believe might be considered a dangerous good to verify the possibility of shipping the item and to understand the regulations and fees involved. When contacting our team in regards to shipping dangerous goods, please include your shipping address city name, zip code, the quantity you are planning to send and product URL. This information will help us determine the shipping regulations quicker for you.